You have to be very careful when using a fireplace because it can ignite into flames. Putting out a chimney fire is something you’ll need to learn how to do in case of emergency. More importantly, you’ll want to know how to prevent them. If your chimney never ignites, then you’ll never need to put out a fire. We’ll show you everything you need to know about stopping and preventing chimney fires. Let’s start by learning how to put out a chimney fire. When there’s a fire in your chimney, you need to act quickly. Every second you waste, your chimney gets more engulfed in flames. Time is of the essence. Knowing how to react before anything happens is the key to putting out a chimney fire. We’ll show you a few ways to put out an out-of-control flame in your fireplace. Fires grow by being exposed to oxygen and you can suffocate them by depriving them of it. That’s where having a fireplace glass door comes in handy. If a flame is starting to get out of control, close the glass door and stop oxygen from getting to the fire. One thing you shouldn’t do to suffocate the fire is close your fireplace damper. This causes the smoke to build up and billow into your home. Not only will the fire suffocate but you’re at risk too. Before using your fireplace, make sure you have a functioning damper and it’s open. When a fire starts, don’t try to close it. If the fire is small enough, you’ll be able to put it out with the ashes and sand found within your fireplace. By piling sand and debris on a fire, you’ll be suffocating it as well. You’ll need a little fireplace shovel and possibly a poker. 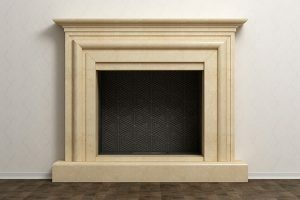 You can learn more about these in our fireplace accessories article. When a fire is too big, this method no longer works because you’re putting yourself at risk. Putting your hands and arms around fire is never recommended and if you’re wearing long sleeves, they’re likely to catch on fire as well. The easiest and safest way of putting out a chimney fire is to use a fire extinguisher. No matter how big or small the fire is, an extinguisher is specifically made to put it out and prevent it from spreading any further. A fire extinguisher should be found near your fireplace at all times. In case of any emergencies, you should know where it is without having to look around because, as we mentioned earlier, every second counts. If you have a place that stores fireplace accessories, put it in there. What Should You Do if the Fire Gets Out of Hand? Sometimes, putting out a chimney fire is impossible. If this is the case, get everyone out of the house and call 911. The fire department will be able to come in and take control of the fire. Just make sure that everyone inside gets out safely. You won’t have to put out a fire if you prevent it from happening in the first place. Preventing the fire from starting is the key to never having to deal with this scary situation. 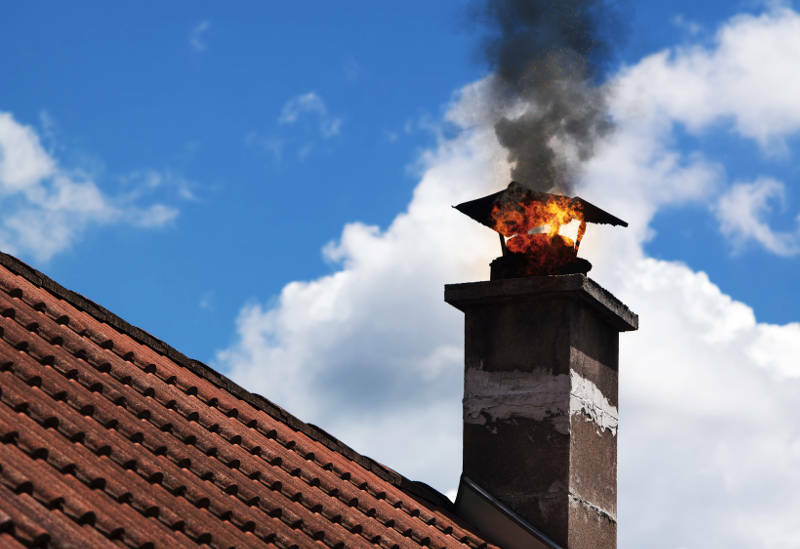 Here are a few ways to stop chimney fires from occurring. One of the problems with starting a fire is that sparks shoot out of the chimney. While most of the time it could be harmless, it only takes one spark to start a fire. We’re not saying you should be afraid to use your fireplace, but that you should use caution when doing so. Fireplace glass doors are a great way to stop sparks from catching your home on fire. When they’re closed, sparks can no longer get into your home. So you’ve now learned that glass doors are the ultimate way to prevent and put out chimney and fireplace fires. If you don’t have a fireplace door yet, you need to minimize the amount of flammable objects nearby. One of the biggest culprits in catching fire are rugs. When a spark hits a rug, especially when its a shag rag, it’s more likely to ignite into flames. All rugs should be at least 3 feet away from your fireplace. One of the most common reasons that chimney fires occur is because of a dirty chimney. When you use your fireplace, soot and creosote line the walls of your chimney and both are extremely flammable. When your chimney starts getting dirty, you need to get it swept. The question is, how often should you get your chimney swept? The rule of thumb is every 50 burns, when the soot is 8″ deep or once per year – which ever one of those three comes first. If you’re not sure whether or not you need a cleaning, you should get a chimney inspection. 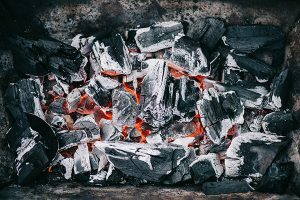 Not only will they determine how dirty your chimney is, but they’ll find other underlying problems you might not know are happening which could cause a chimney fire. Early Times will help you with your chimney cleaning problem. 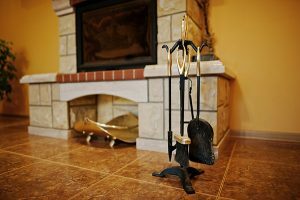 Our expert chimney sweeps will make sure your fireplace is safe to use. Get a free quote for a chimney cleaning and inspection today. Children are very curious and the fireplace might interest them. If they’re left unattended by a functioning fireplace, they could unintentionally start a chimney fire or, even worse, severely hurt themselves. You need to teach your kids fireplace safety. Let them know never to go near the flames because of the dangers. It will go a long way in keeping everyone safe. 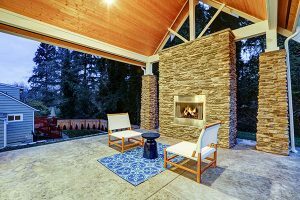 Putting out a chimney fire is something you need to know as a fireplace owner. When one occurs, you have limited time to think and need to move fast. Fireplace glass doors and fire extinguishers are essential to have in order to control a chimney fire. Also, learning how to prevent a fire could help you avoid this situation all together. Placement of rugs, teaching your children fireplace safety and regular chimney maintenance all play a major role in stopping chimney fires before they start. Early Times is Chicago’s fireplace and chimney authority. We have been serving the area since 1985 and have helped thousands of homeowners make their home cleaner and safer. 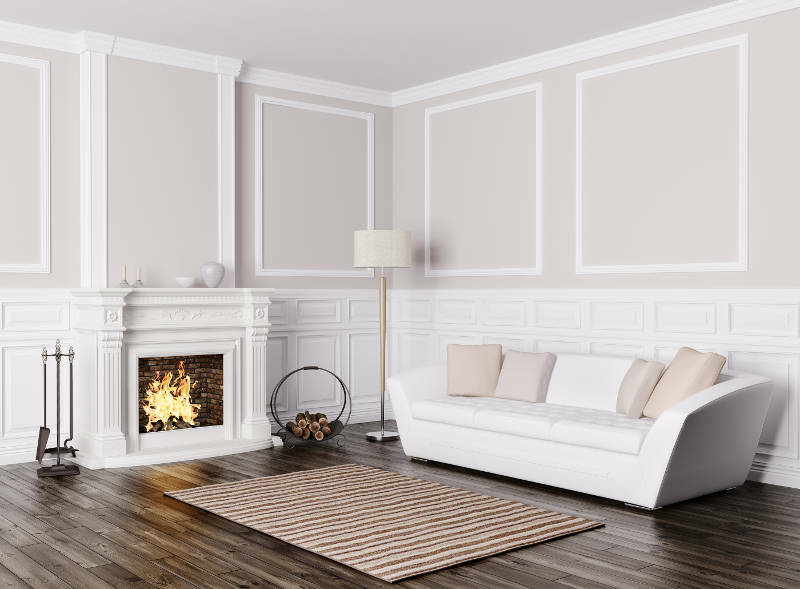 Get a free quote now to ensure your fireplace and chimney’s safety.